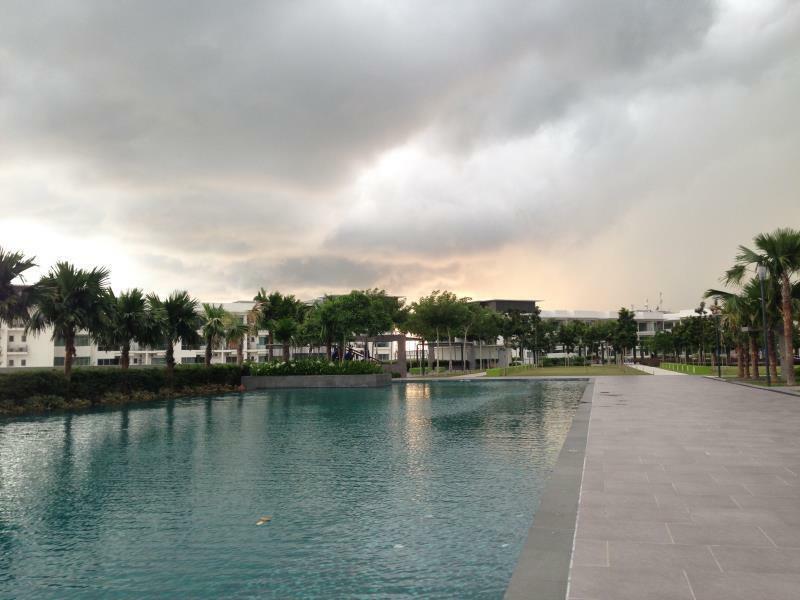 "A perfect location for shopping as it is only a close walk t..."
Have a question for Sabah Holiday Homes @ Imago? "The apartment came with a washing machine/drier which is convenient." "View is also nice as it is situated on the top floor of the building." "This was a great place for our family." 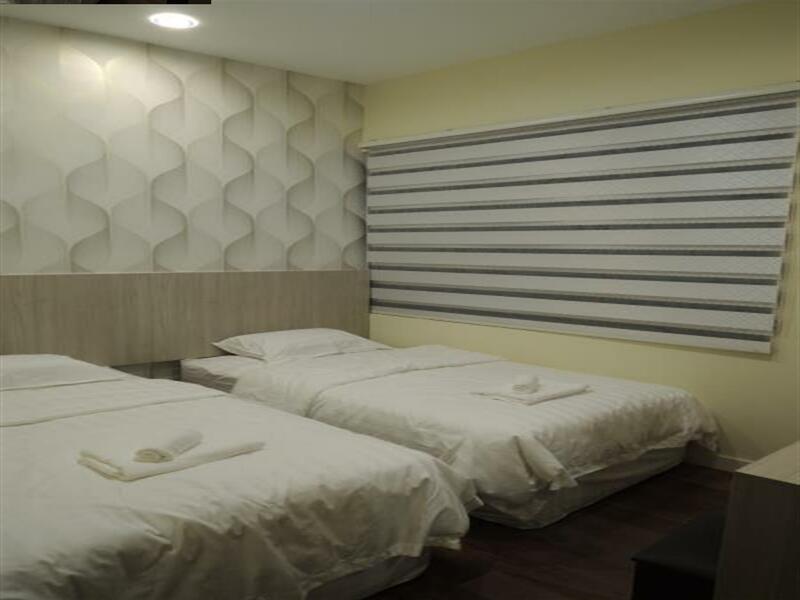 Offering quality accommodations in the restaurants, sightseeing, beaches district of Kota Kinabalu, Sabah Holiday Homes @ Imago is a popular pick for both business and leisure travelers. The hotel lies 1 km from the city center and provides accessibility to important town facilities. With its convenient location, the hotel offers easy access to the city's must-see destinations. Sabah Holiday Homes @ Imago offers impeccable service and all the essential amenities to invigorate travelers. The hotel provides free Wi-Fi in all rooms, 24-hour security, convenience store, taxi service, wheelchair accessible to ensure our guests the greatest comfort. The hotel features 12 beautifully appointed guest rooms, many of which include additional bathroom, cleaning products, clothes rack, private entrance, slippers. The hotel offers fantastic facilities, including fitness center, outdoor pool, children's playground, pool (kids), garden, to help you unwind after an action-packed day in the city. Whatever your reason for visiting Kota Kinabalu, the Sabah Holiday Homes @ Imago is the perfect venue for an exhilarating and exciting break away. "Excellent location, customer service and communication." The property does not accept credit cards. All miscellaneous charges must be settled by cash. Booked the Duplex which was located at Riverson SOHO. A perfect location for shopping as it is only a close walk to Imago Mall. Moving around was also easy as Grab services is readily available. Below the apartment, they have various 24hrs convenience stores. Also some food shops, Dominos, Kopi Ping etc to eat out during the day. You can make use of the gym and swimming pools. The apartment came with a washing machine/drier which is convenient. View is also nice as it is situated on the top floor of the building. Theres one bedroom and bathroom on first floor. Two rooms with two queen beds each and ensuite bathroom. Overall would recommend to anyone to stay. I love the loft A apartment near swimming pool and bigger room and living room very spacious! Unfortunately agoda forget to inform our amendments that we have to change apartment to loft B for one night room a bit small from our earlier apartment. But so far everything was great and goooood!! Supper awesome! Will comeback!!! This is our second time staying at this apartment. 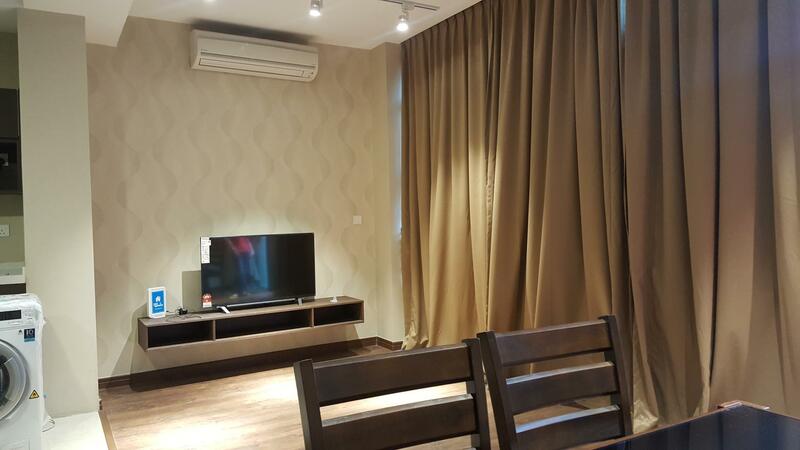 the quality of the facility is very good, helpful and quick response staff, security is very good, car park always available, and I definitely will come and stay in this apartment in the future. Apartment is very spacious & cozy, clean. Great location, below shopping mall. Do not provide body/hair shampoo but can easily purchase ourself. Checkin was smooth, staff friendly. Checkout ok, different staff, no face expression. We brought 2 cars but only given 1 access card so quite difficult if were to go seperate ways. This was a great place for our family. We had plenty of elbow room and the location was amazing. There were two pools available on the roof along with a whole leisure area (that the kids would have loved when they were younger). We could pop down to the mall to eat or watch a movie. Just across the way was a Down Under shop that we arranged a fabulous snorkeling tour with. Loved staying here. Besides insufficient dining chairs in the apartment and king size bed not in the master bedroom, the parking is good and free, room is near the lift and just outside the apartment is the pool and other facilities. Kids love it. Great apartment for group travelling. Comfortable, but such a shame things were undermaintained. Toilet door was not working properly, and no hot water in one of the bathrooms. At night, you can hear planes passing by. However, the apartment is equipped with laundry facilities, and the pool is just outside. Very responsive staff, eventhough there's no reception. Can simply whatsapp for any requests. We also appreciate the free parking and we enjoyed the fabulous location. We stayed in this room 2 nights and we found very good location here to go anywhere in Kota Kinabalu. Room was cleaned and good condition with modern decoration. Services is great. I found door locked with our fault but we got services to onsite visit during midnight which I didn't expected for this great support. I can wait to morning but he came in 30 mins. So, recommend to visit again. I brought my family to stay at sabah Holiday Homes @ Imago (Also known as the Loft Residence there). It is wonderful, below it is the Imago shopping mall which is really superb for those who's on vacation for a shopping spree. My apartment was a 3 bedroom apartment and it can accommodate my 5 family members perfectly. There's a cable tv, awesome wifi, awesome rooftop view, a balcony and an outdoor swimming pool overlooking the city. There is a huge garden on top connecting all 4 blocks of the whole apartment. The rate is also affordable. And this hotel is new. The place is near to the Imago shopping entrance, east and west wing. There's nearby garden, gym and playground to explore, the view is spectacular! Would take less than 5 mins to the nearest convenient stores; orange and 7eleven. There's cheap mamak shops near by too. Avoid coming during festive season like Hari Raya as some shops closed. We enjoyed the privacy and management is very helpful and informative. Overall, would recommend this place to others, won't regret and worth your money! Very nice apartment and staff very helpful. Excellent location, customer service and communication. Would totally stay here again. the apartment given is at 9th floor and 2 storey (we dont like it). small bed room is at the same floor as the kitchen where there is a washing machine too, living room and dining table and shower room with toilet. upper level has 2 bedroom with a shower and toilet too. The room is big enough to fit 2 queen size bed. but the disappointment were the aircond is blowing directly to the bed which I think it is not healthy and there is no way I able to move the bed around. Aircond in the living room is also blowing directly to the sofa (for watching tv) and dining table. The spiral stair is dangerous for kids and also to senior individuals. not recommended if you have kids and elder person to stay along. This is definitely one of the best place to stay in kota kinabalu. security is good, shopping place is just below the appartment (most branded and expensive items), facilities are clean and well maintained. I will definitely stay at the sabah holiday homes in the future and I definitely recommend this place for family. Ideally location for shopping. Vehicle parking access through the lift was inconvenient system. Kitchen utensil and Dustbin wasn't provided in the condominium. Don't wash your clothes in Washing Machine unless you are sure the water is clear, otherwise, your white cloth would be rusty browned cloth. Door access card of Loft A can't be used in Loft B main door access after 10pm. Overall, well maintained.